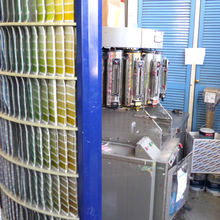 Sydenhams are a leading stockist of Johnstone’s, Leyland & Dulux Trade paint brands and we are able to offer a paint mixing service at selected branches; this can be while you wait or can be ordered for collection or delivery. We also stock many other associated leading brands such as Purdy and Toupret. Being an independent merchant Sydenhams have the ability to source and supply the full range of Painting and Decorating products on the market at competitive prices. Please speak to us if you have any specific requirements.